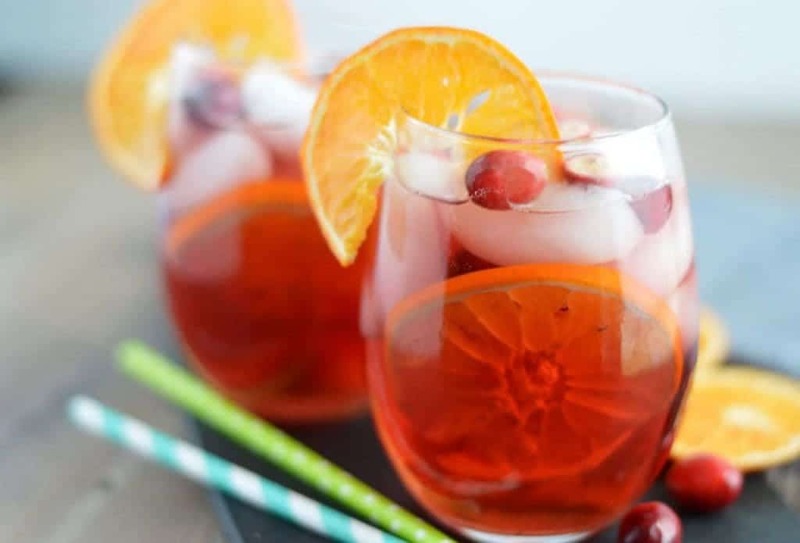 This Cranberry Orange Sangria is a sure-fired way to get the party started. It’s full of cranberry flavor, perfect for the holidays. Sangria is one of those drinks that you can really be creative with. My mom, my sister, and I are always experimenting with sangria flavors when we get together. It’s pretty much a staple drink for us. 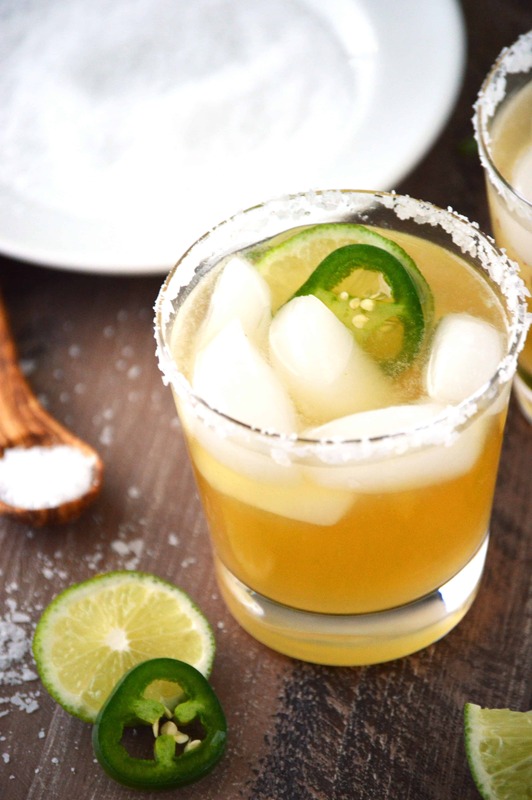 Some of our favorites are apple cider sangria and traditional red sangria. We also enjoy white sangrias. 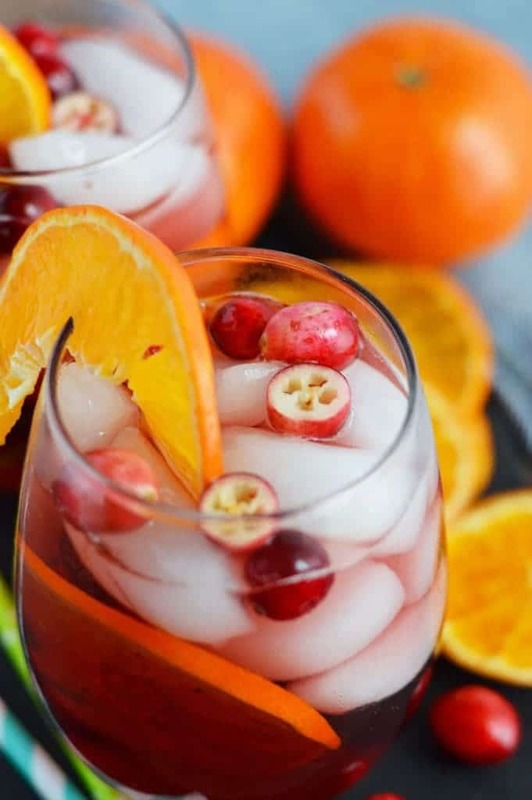 But this cranberry orange sangria quickly won our hearts and will forever be on our holiday drink menus. I served this red sangria recipe this past Thanksgiving and it was a hit with a capitol H-I-T. It was gone before dinner was ready – even my grandmother (who usually only has a glass of Chardonnay or Amstel Light straight from the bottle) got in on the sangria action. This easy sangria is absolutely FULL of cranberry goodness. It starts with a bottle of cranberry wine. Repeat – CRANBERRY WINE -hands down the best wine for sangria in the fall or winter! It’s also got cranberry juice and it’s topped off with some cranberry soda for that fizzy-fizz we all love. But don’t worry, there’s plenty of booze in this red wine sangria. It’s definitely not a watered-down-mostly-juice sangria. We don’t do that here. You guys, it’s so, so good. It’s like cranberry juice on steroids (without the roid rage). I’m serious about this wine. If you can get your hands on some, do it. If not, you can use a red blend. I know December is typically supposed to be “The Most Wonderful Time of the Year” but holy stress batman. I mean really. The shopping, the baking, the wrapping, the gift giving, the parties, the decorating. Oh and then there’s the 8-5’s can’t forget about that so we can pay for it all. Someone please re-do the song to “It’s the Most Stressful Time of the Year”. I’d buy it and and I’d buy a copy of it for all my friends. In the meantime, I’ll cope with cocktails and desserts. And then punish myself come January. 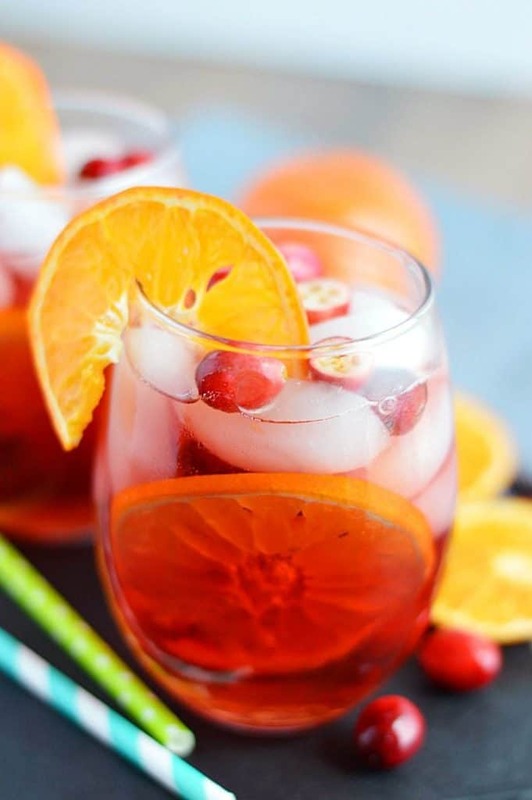 You can also get the full Cranberry Orange Sangria recipe as part of the 12 Days of Cocktails on Food Fanatic. Enjoy! I’m with you on so many elements of this sangria – especially the cranberries and Grand Marnier. I love your line about how this isn’t watered down wine – no siree! 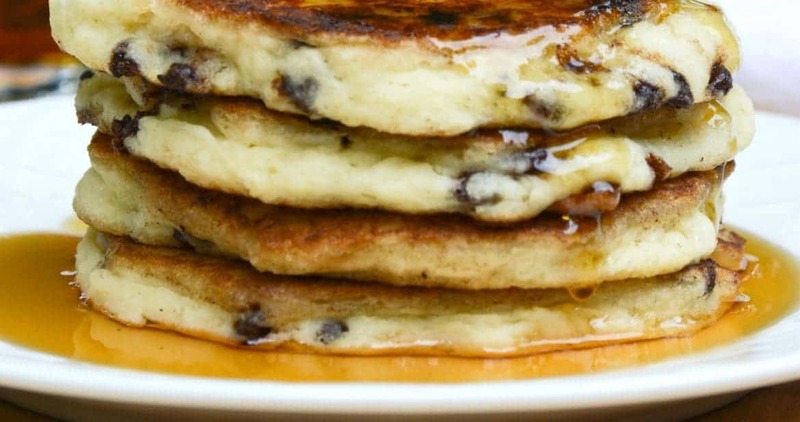 Brunch just got a whole lot more fun. Looks and sounds delicious! I would love it if you would link it up to Tipsy Tuesday at Grey is the New Black! Shannon, when I indulge, this is just the sort of drink I would love to toast with. I love anything cranberry and orange together! i’m always looking for new drink ideas, and i love the ease of sangrias! this cranberry orange version sounds so good. perfect for new year’s eve! I will suffer my masculinity for this bevvy! Fresh cranberries in a sangria are so good! 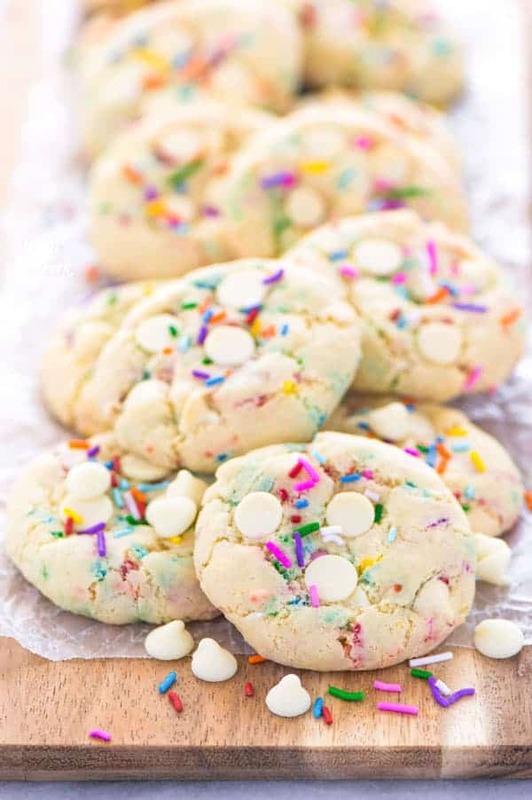 This looks super festive! 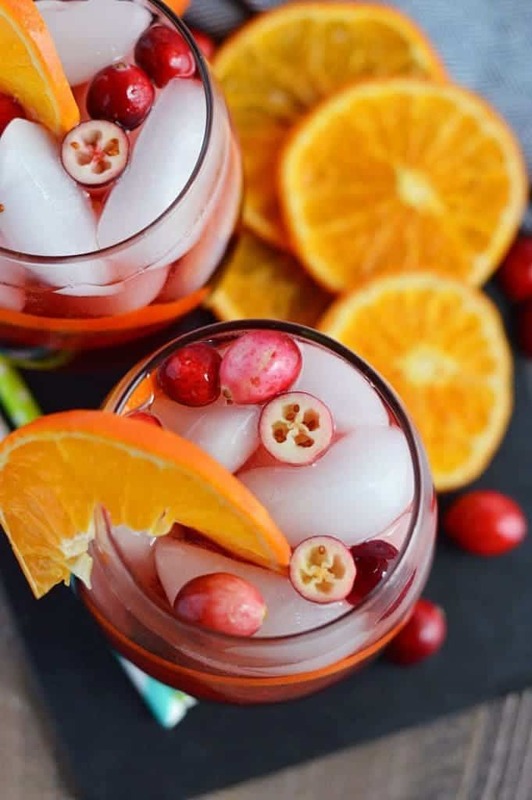 I’m not a big drinker, so I love refreshing drinks like this – and you can’t beat cranberry and orange! Definitely can’t beat it this time of year! 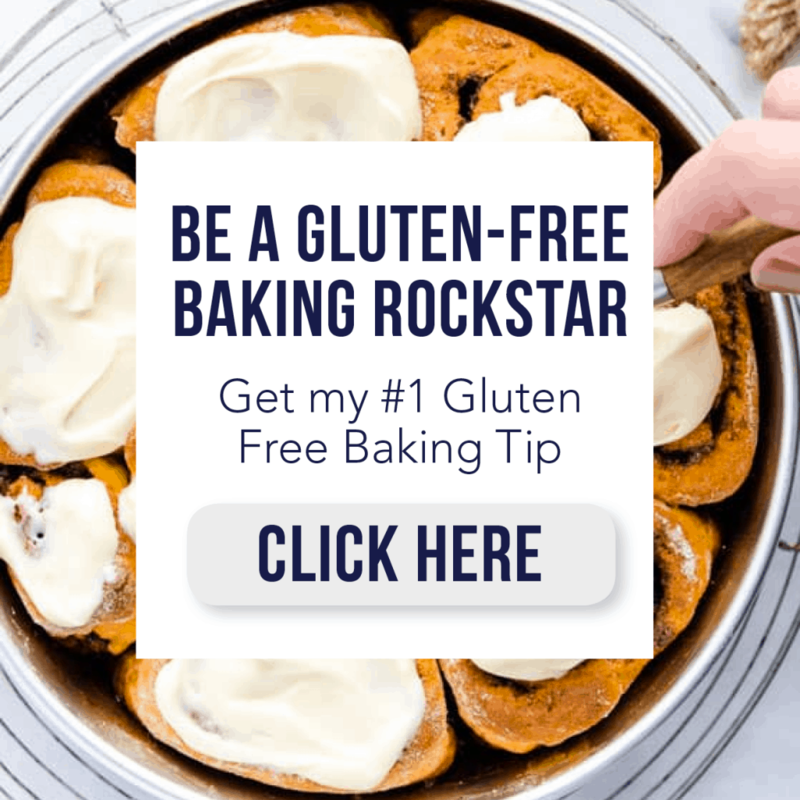 I love sangria, and one of the reasons is just what you’ve mentioned — so easy to change up the ingredients and flavors! Love your version — so festive, especially this time of year! Cranberry and orange is one of my favorite combinations! I’ve never had it as sangria though, but it sounds amazing! This sounds so delcious, and you might catch me sipping on one of these come New Year! Perfect for the new year. I have to decide which cocktail to serve!